Although two of the nastiest smack talkers in mixed martial arts participated in Friday’s conference call, neither Chael Sonnen nor Michael Bisping provided the verbal warfare the media had anticipated. 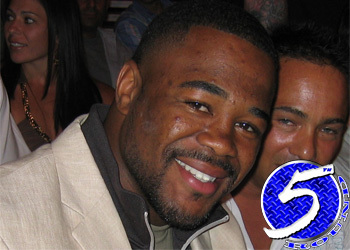 Thankfully, Rashad Evans (Pictured) and Phil Davis hadn’t spoken since last month’s “Penn State” press conference and picked up right where they had left off. While UFC president Dana White has guaranteed Evans next dibs at light heavyweight Jon Jones should he reign supreme next Saturday, White has hesitated in granting “Mr. Wonderful” the same privilege. However, Davis professed White will have no choice but to give him the next shot at the throne. Davis’ confidence in bumping his résumé up to 10-0 didn’t slip by Evans. In fact, “Suga” wasn’t too sweet on the idea of his rival looking past him. “You ain’t beating me,” Evans countered. “It can’t get here fast enough because I’m going to smash you. While Evans understands and respects Davis’ unblemished record, he was quick to point out that his opponent has yet experience this kind of pressure or face anyone of his caliber. “We’re going to see what happens when those lights hit you, when you walk out and that crowd is roaring,” Evans expressed. “We’re going to see. We’re going to see what kind of a man you are. We’re going to see what kind of fighter you are because I know you ain’t a fighter. “Ooh, that’s scary,” Daivs sarcastically said. The light heavyweights will exchange pleasantries once again when they headline “UFC on FOX” on January 28th.